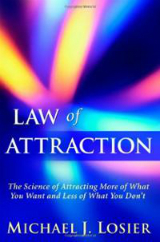 Long before “The Secret” was ever produced, masters of the Law of Attraction were in full force opening the doors to this wisdom. Lozier is one of those great visionaries, offering the practical steps to actually help you to put this law into action. Nothing is a secret when the truth is revealed…Best to have a road map if you wish to change the outcome of your life…Check this hour and the simple path he offers.